It doesn't get any better than this. 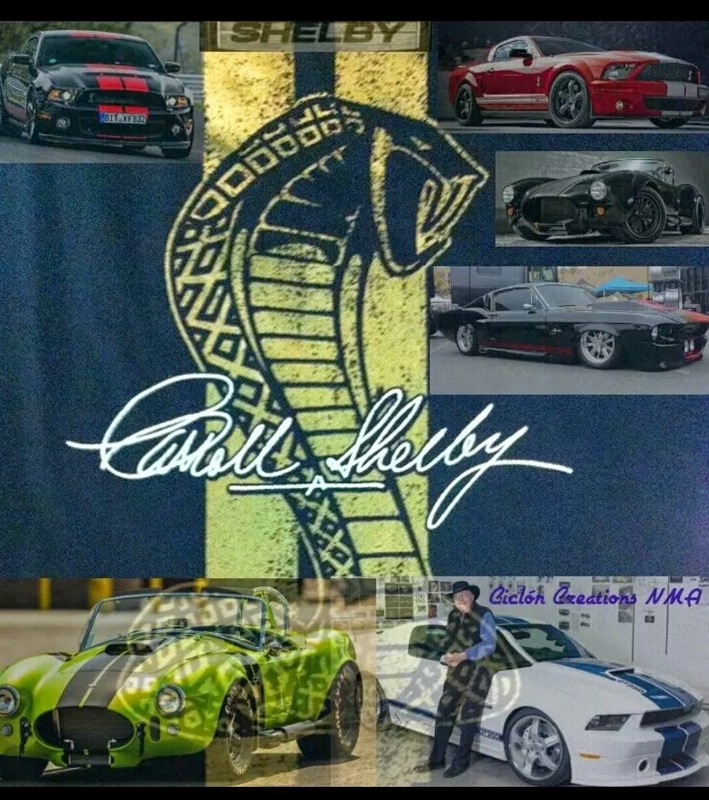 The wonderful work of art you see below serves as a tribute to the legacy of Carroll Shelby. After retiring from racing in 1959, Mr. Shelby launched an automotive career that would span decades and introduce such wicked automobiles as the Shelby Cobra and Dodge Viper. The Cobra in particular, with its fearsome snake logo, instantly demanded respect both on the track and the street, and had all the power and handling to back it up. And while Mr. Shelby is no longer with us, his legacy lives on to this day in the line of performance cars that bear his name.